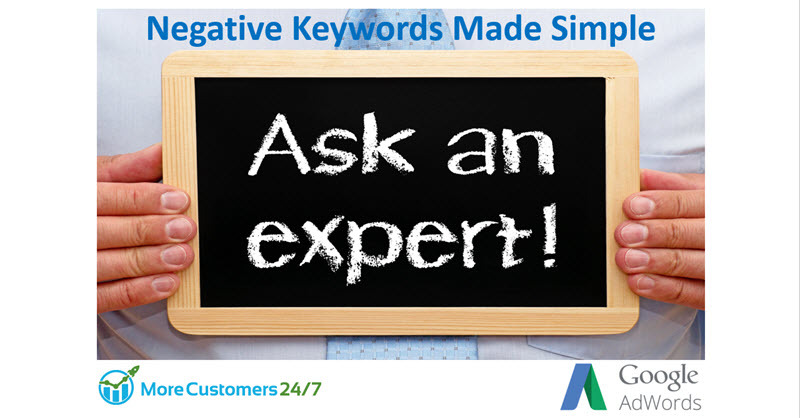 Probably one of the biggest secrets most people don’t know when it comes to successfully advertising on Google AdWords is using negative keywords! This video is a comprehensive overview of using negs – the do’s & don’ts, how to get the best value from them, and my own secret strategies to maximise AdWords performance. This video has been hidden from public consumption for 2+ years, but I’ve decided to now let it out into the public arena for your consumption. I hope you get plenty of value from it. If so, please leave a comment below and share it with your colleagues. If you need help setting up &/or managing your AdWords PPC campaigns, contact me to discuss what options I have available.